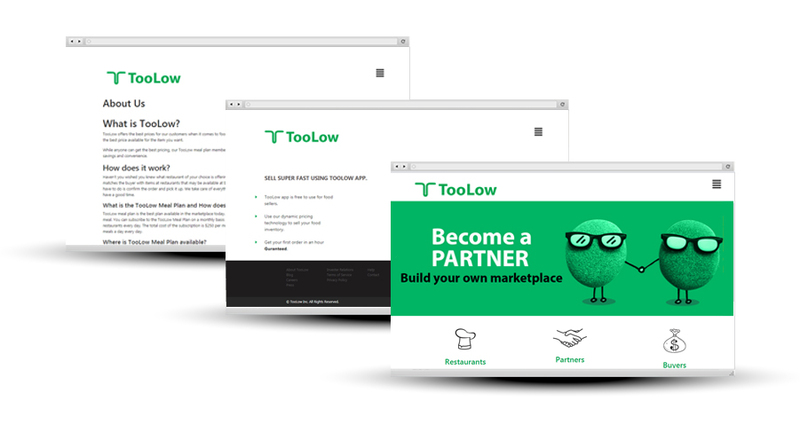 TooLow is a Silicon Valley-based FMCG startup that brings lowest food prices to customers. Through their aggregated list of restaurants around the San Francisco Bay Area and Boston, customers can get deep discounts up to 50% on all food. At inspurate we managed TooLow’s Social Media activities by following a week by week plan where our team updated and managed the overall experience on Facebook, Twitter, and Instagram. 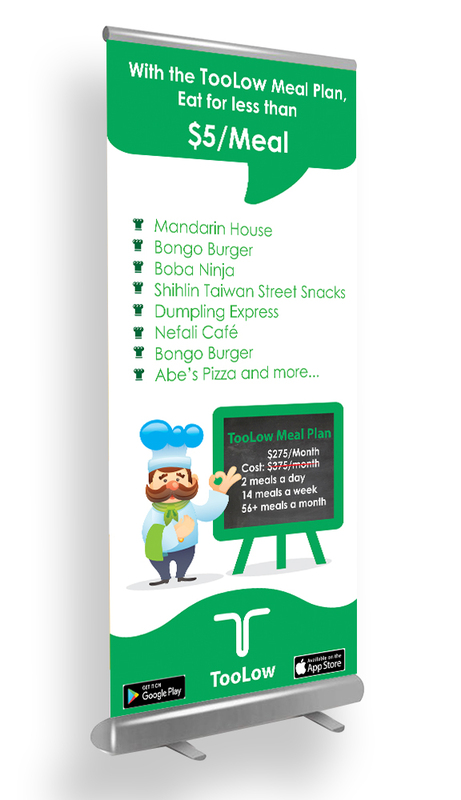 We also supported their on-the-ground marketing effort by designing their collateral, namely flyers, standees, and banners for their kiosks on University Campuses.